Read Atlanta Steel Pan & Island Music's Five Star Testimonials! Paul is a very talented musician who can be counted on to provide a great performance tailored to your specific occasion. Very easy to work with and very dependable. Paul is a versatile, well-schooled, hard working musician with many achievements in his career. His accomplishments speak for themselves. …the highest level of professionalism and work ethics. I have worked with Paul Vogler in a variety of performing and educational settings. Paul has always demonstrated the highest level of professionalism and work ethics. 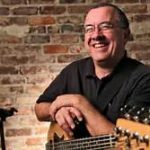 As an educator, he offers insight and expertise in navigating students through the challenges faced in learning to play music. As a performer, he is well adept in performing as a drummer or percussionist in a wide variety of musical situations. I had the chance to collaborate with Paul several years ago at a summer arts camp. He was wonderfully creative, great with the kids, and a pleasure to work with. And what a musician! Great sound and very professional to work with. We are so happy we have them as an option for our clients. …an excellent musician of high integrity and character. Paul is an excellent musician of high integrity and character. He has provided much assistance in establishing my company. I would recommend him as a top-notch performer and music teacher! I’ve worked with Paul many times in different capacities and he has performed exemplary in every kind of way. Very personable and professional, on time and on task. I would highly recommend him to anyone. …an excellent work ethic- and he practices. I’ve known Paul over ten years. His technical and musical knowledge are both strong. He possesses an excellent work ethic- and he practices. Paul Vogler and his two-piece group performed for a BBQ, and did a fantastic job! They helped set a perfect tropical theme, had a lot of variety, and their sound was outstanding. I would recommend them highly. Paul added a special touch to my wedding. Paul was GREAT! Paul added a special touch to my wedding. He played the steel pan during my ceremony and cocktail hour. Both my family and my husbands family really enjoyed Paul’s music. I’ve gotten so many compliments on his performance. He truly made our wedding that much more special and personalized. I would highly recommend his services because he did such a wonderful job. Paul is a very versatile musician that can play all kinds of musical styles and instruments. He is also professional and reliable. …wide range of musical styles and instruments. As a music teacher, Paul has been able to develop three of us at the same time (we all share the sessions), and given us the skills to expand our capabilities.As a performer, we have enjoyed listening to Paul’s wide range of musical styles and instruments. Paul Vogler is a gifted and talented person with great problem solving and creative skills. Paul Vogler and I have worked on numerous projects together involving very complicated educational and technical programs and exhibits. He is open to suggestions and enjoys working collaboratively. Paul is willing to accept responsibility and will complete tasks completely and in a timely manner. I thoroughly enjoy working with Paul and look forward to the next opportunity. A local favorite! I always get a kick out of seeing Paul Vogler and his Atlanta Steel Drum Band outside the Atlanta Aquarium, at the zoo, on the porch of the Georgian Terrace across from the Fox…. they seem to be popping up everywhere! Every single time there are hoards of folk dancing around, playing shakers and generally lost in that moment in time, laughing and uninhibited. I have heard this music before, but Paul Vogler’s Atlanta Steel Pan Band takes me back to the islands… All I have to say is: Thank you guys! Look forward to seeing you again soon, and thanks for the sounds of freedom and joy you bring! I have had the privilege of being present at several events in the Atlanta Area which Paul was playing! One was the Aquarium, the other Fuego Mundo. The atmosphere on both occasions was transformed into nothing short of magical! People laughing and dancing…moving to music..absolutely enchanting! Paul himself is charming and adored by the crowd! Thank you Paul for your music! I am glad you are in Atlanta! Paul is an awesome and innovative musician/ programmer. His vast contacts within the music business make Lake Production an awesome environment in which to be creative. He is a professional in every facet of this operation. Great day with great music! These guys took care of everything. On time, professional, great musicians. Have been asked for their number a few times and I proudly gave it out. Will book them again. Thanks guys! These people love music, and music is in their heart. Mr. Paul Vogler and his group are of the best people I ever met. These people Love music, and music is in there heart. They play because they Love too, not for money and I am honor to know them and became friend with them. They are such a beautiful people and play with there heart. And that I Love…… Thank you Paul.